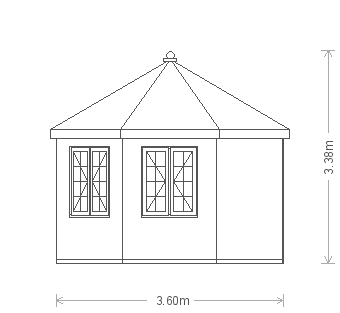 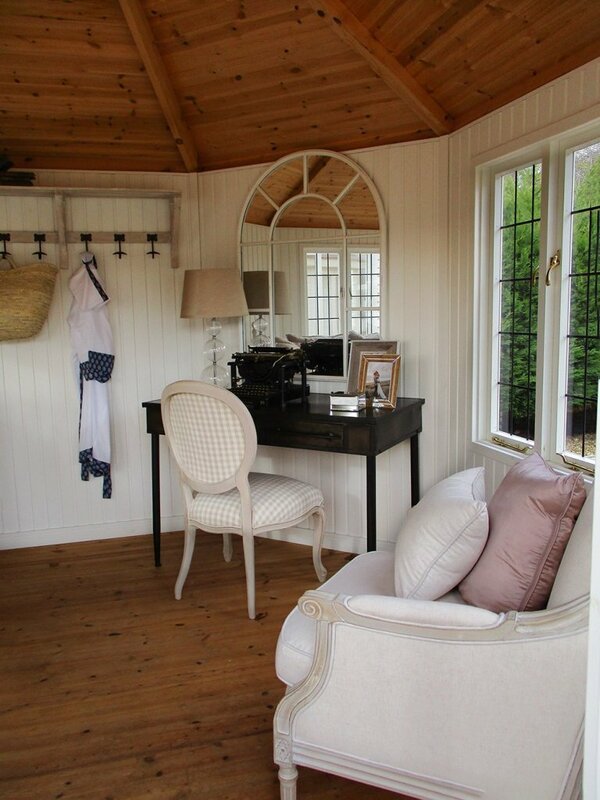 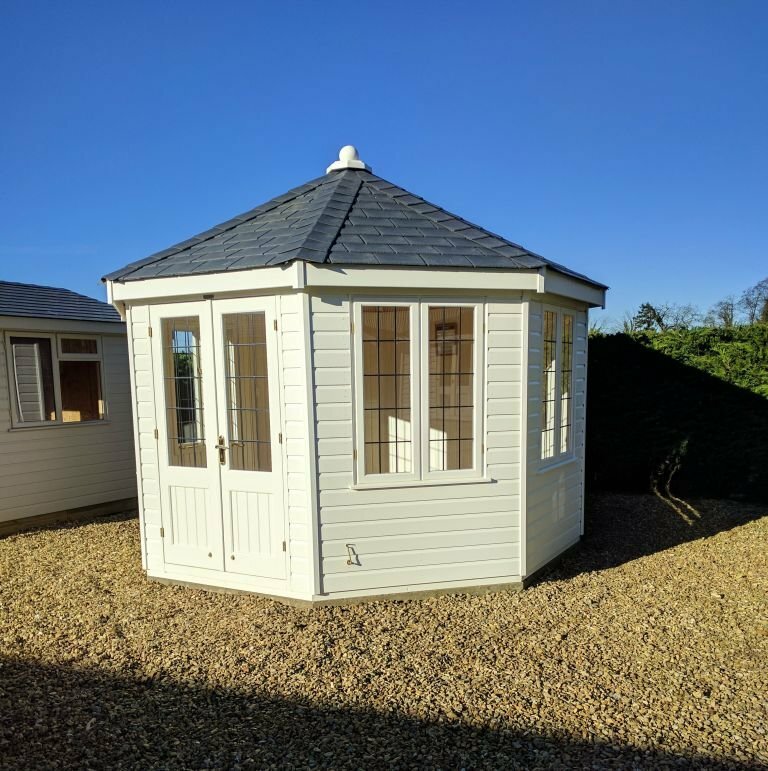 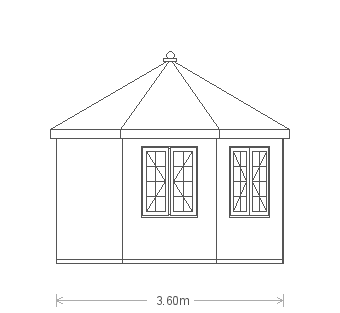 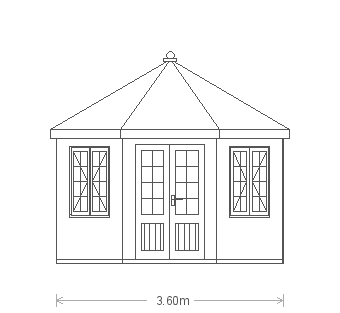 An octagonal summerhouse with a view from (nearly) every angle, the Wiveton is sure to become a focal point of any garden it sits in. 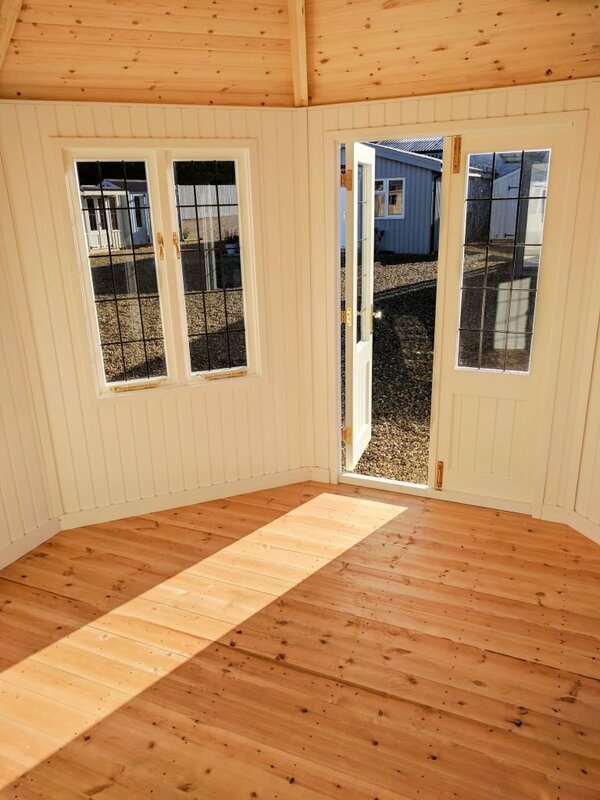 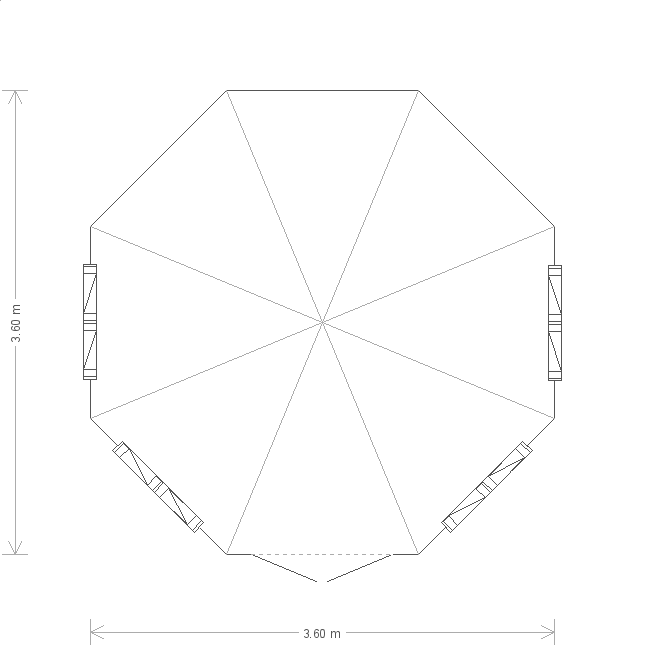 This one is the largest size we make in its design, offering a wealth of space to use as an extended living area, dining area, entertainment space, hobby room... or whatever you wish. 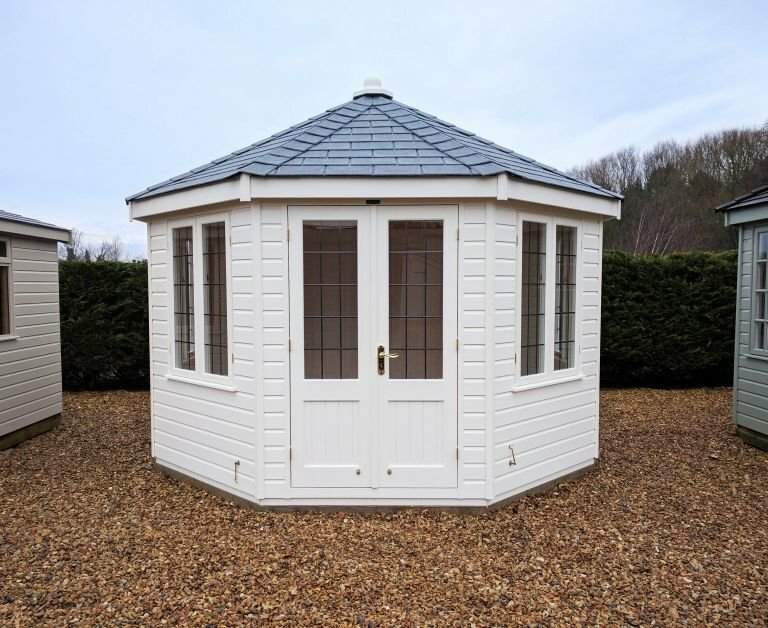 Leaded windows and the grey slate effect tiles offer a more traditional look, and there are four sets of double opening windows in total. 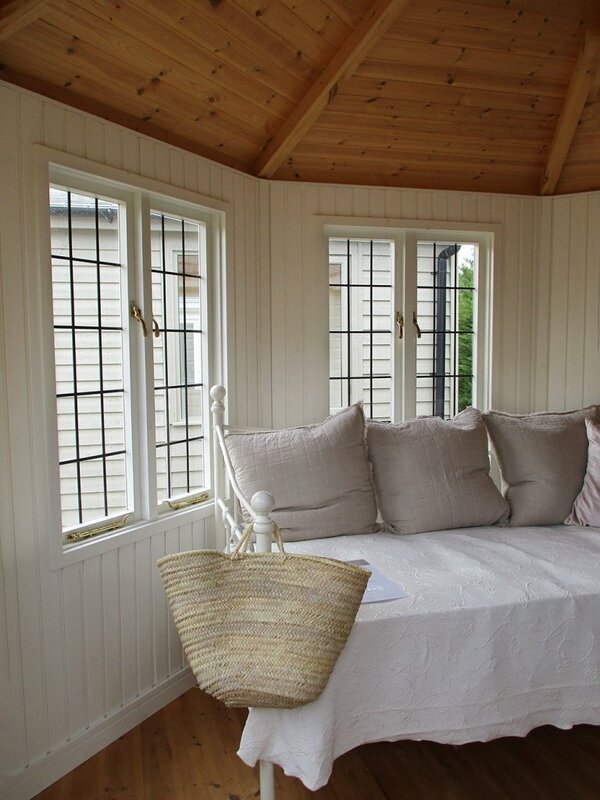 Valtti Cream is the external paint colour, and inside Ivory paint has been used for the painted matchboard lining, giving a clean, bright finish inside and out. 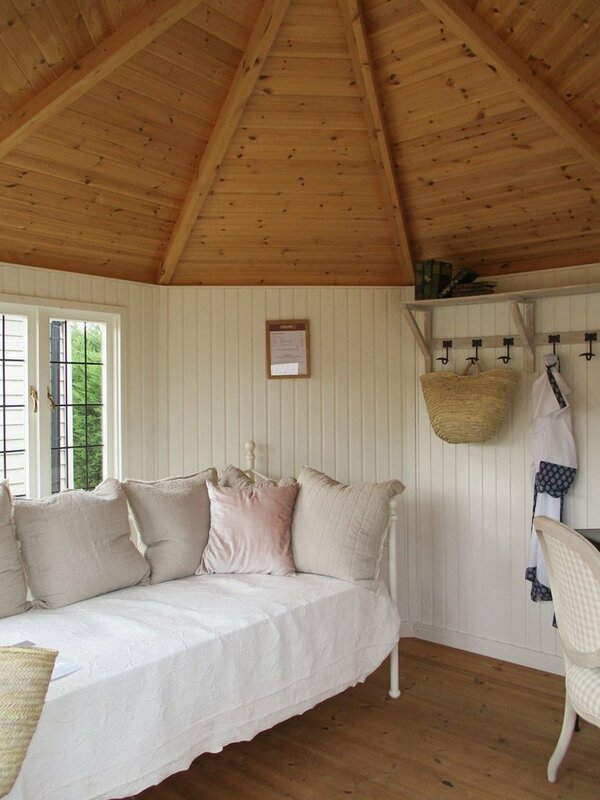 Insulation in the walls and ceiling lends the building to more than just summer use too.